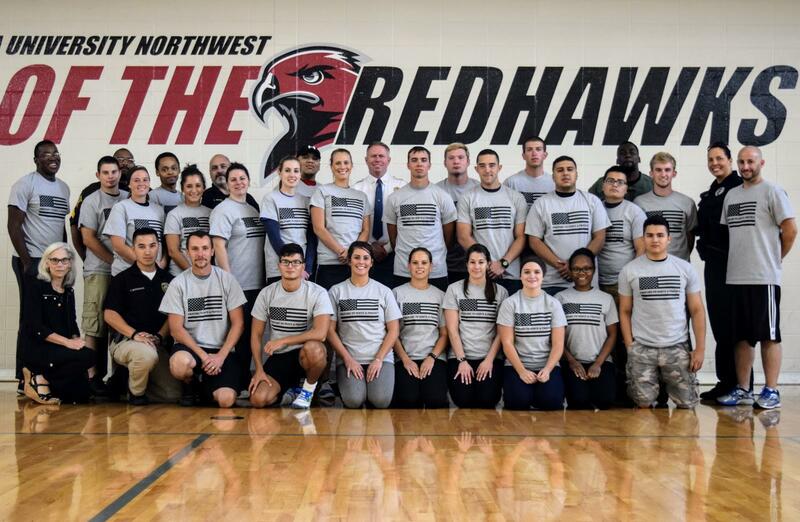 Graduates of the "Prepare to Protect and Serve" workshop. GRIFFITH - Shortly after Greg Mance became Chief of the Griffith Police Department, he became aware of a big challenge of the job, getting female and minority applicants to apply. 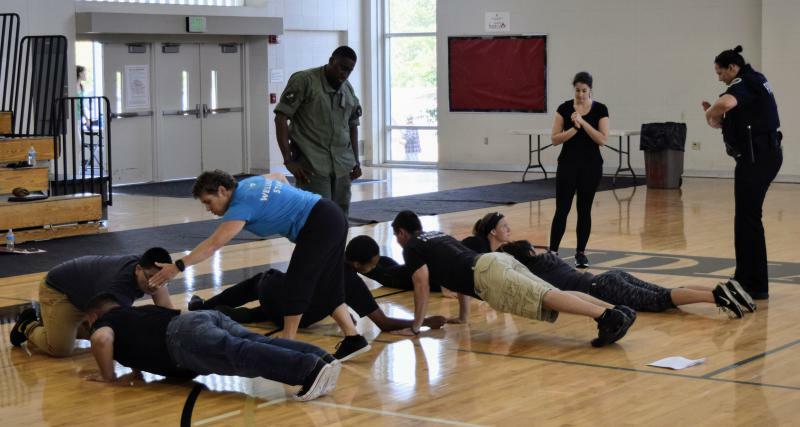 Then there was the even bigger challenge of getting them successfully through the application and testing process, to getting hired as an officer. Mance enrolled other organizations to help solve that problem. 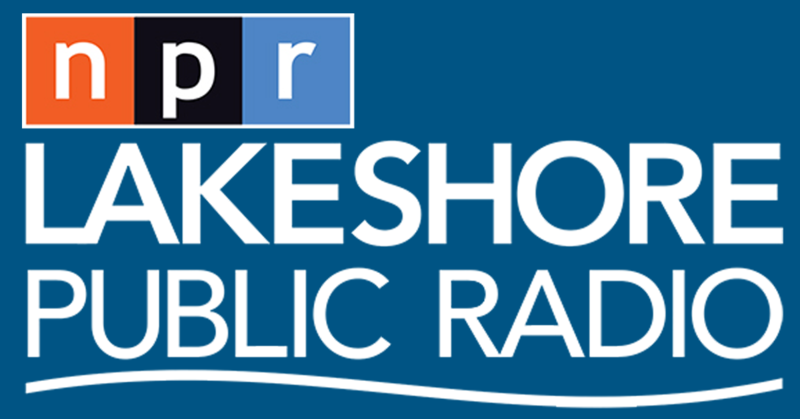 Lakeshore Public Radio's Sharon Jackson's conversation with Griffith Police Chief Greg Mance about the challenge of finding female and minority applicants and about the "Prepare to Protect and Serve" program. The program is designed to help candidates with the interview and testing process to become an officer. One of the first successes to come out of the Prepare to Serve and Protect program is a female officer on the Griffith Police Department named Leslie Malerich. She credits the program a great deal for helping her land her dream job just in time. On many departments, officers have to be sworn-in by the time they are 36 and she is now a little older. Lakeshore Public Radio Reporter Sharon Jackson's conversation with Griffith Police Department officer Leslie Malerich and her experience with the "Prepare to Protect and Serve" program and how it helped her through the officer testing process. Another session of the police candidate training program is scheduled for Saturday, May 19th from 8a.m. until 2p.m. at Indiana University Northwest. People can register on the Crossroads YMCA website. GRIFFITH - The Griffith Police Department has had a difficult time attracting female and minority applicants and is working to solve that. Shortly after Greg Mance, became Chief of the department in 2013, he discovered how few minoriti es and females had an interest in applying for the police department. Many of those who did apply had a difficult time with the application process.